Easily explain how sealants can protect teeth and prevent decay. 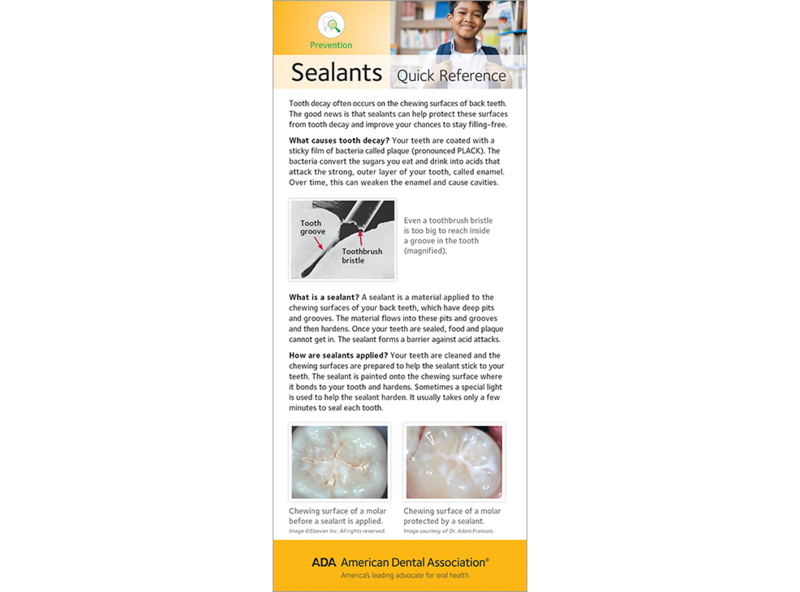 This two-sided card says what a sealant is and how it is applied, including before-and-after photos of sealant application. Other decay-prevention tips are also listed. Use the blank lines on the back to add your own message. Pack of 100.